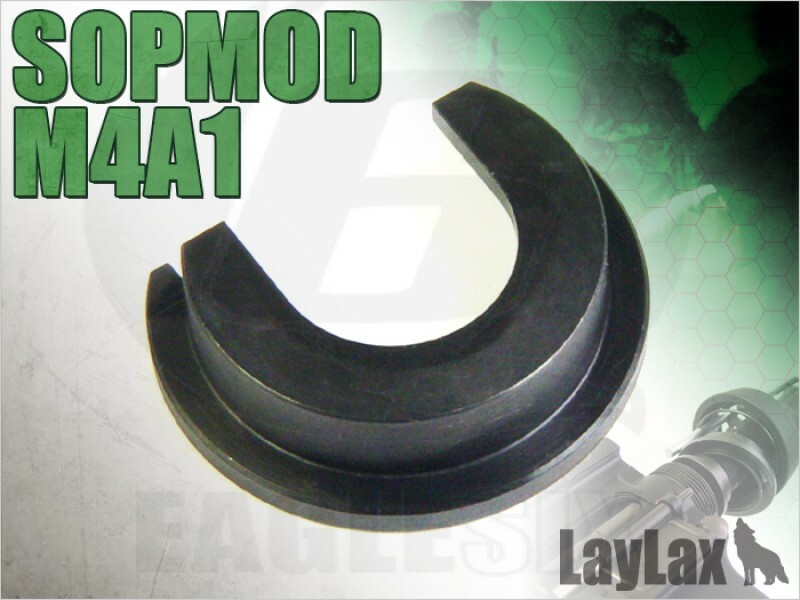 This is a very hard barrel base for the sopmod m4, Its purpose is difficult to quantify but basically the concept is that the original version is a weak material which can actually distort and change shape which then intern will allow potential flexing of the front end and or slightly off center appearence to it. As i say it wont be an issue for most and seems to be a fix for players rpone to putting excess pressure on the front end like with front sling mounts and or leaning guns against walls and falling over, but it should allow you using the laylax front end wrench to really tighten up the front castle nut much harder than you previously would be able to with the softer original part ngm4-9. What you dont want is any bending or flexing to happen and that then translate into your upper reciever or outer barrel becuase that could be costly.